▶ SoldThis listing was sold on Dec 15, 2017 for the price shown here. The PERFECT TRIFECTA! PERFECT complex w/swimming pool, tennis/basketball court, walking trails, clubhouse available for rent, fitness facility & walking trails at a low cost monthly assessment that includes water, trash & sewer. PERFECT location w/quick access to HWYS 270/40/44. 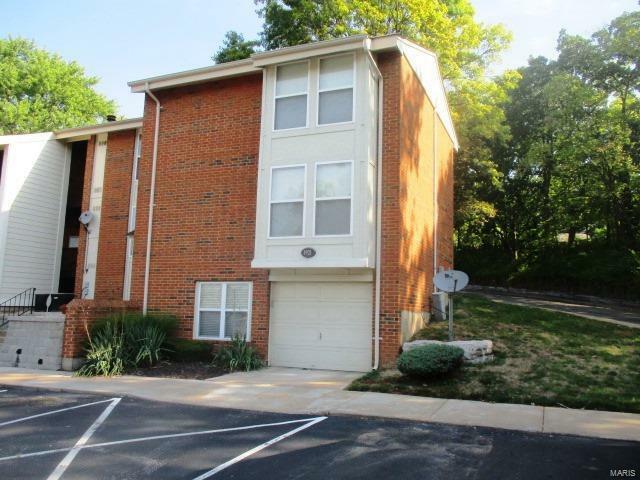 PERFECT end unit townhome w/three levels of comfortable updated living space. Recent updates & pleasing amenities include: luxury wood like flooring by Bosenbark- waterproof & scratch resistant (2014), Mohawk frieze carpeting on stairs (2015), custom fireplace mantle w/black granite hearth (2011), Under-the stairs storage w/custom drawers (2015), thermal energy efficient tilt-in windows, solid surface counters & custom cabinetry, sliding door off dining room to exposed aggregate patio w/mature tree, luxury master suite w/separate Jack–n-Jill his/hers vanities, comfortable finished LL w/recreation room w/built-in book cases & wet bar, heated garage & private laundry, security system w/floor & motion sensors. Big Bend east of HWY 270 to left on Old Big Bend, to left on Edna to left on Thursby to Huntington Lake Ct.